Sometimes, healing consists of sitting in coffee shops and writing the years from your mind. Sometimes healing is laughing until you cry, it is kissing your friends faces and being moved and inspired by your life. And sometimes, healing is rest, it is hiding from the world, it is having everything inside of you be still and quiet and eerily bare. Sometimes healing feels like nothing at all, like you are a silhouette of hope and hurt at the same time. Do not fight it. 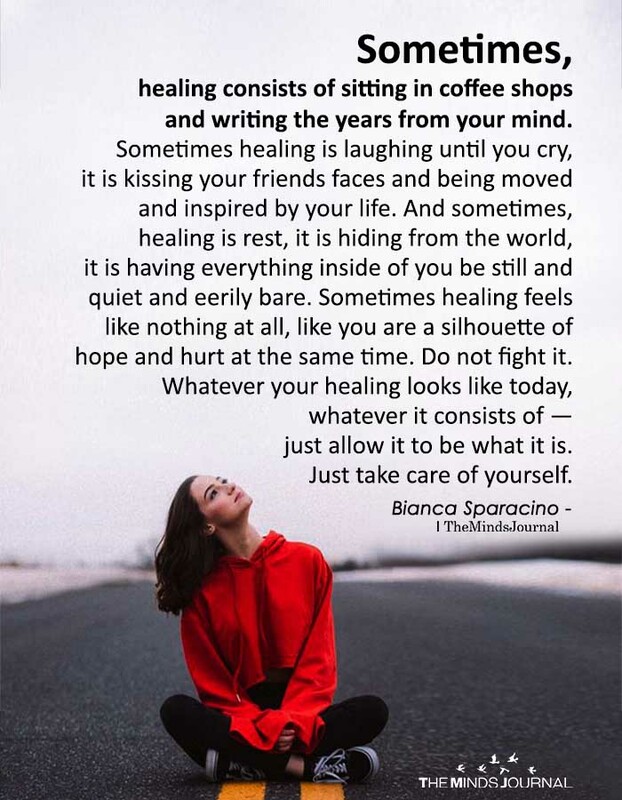 Whatever your healing looks like today, whatever it consists of — just allow it to be what it is. Just take care of yourself.